George was born on the Loring Air Force Base in Aroostook County, Maine. After he graduated from high school, George also enlisted in the Air Force where he served for 21 years before retiring as a Master Sargent. He then became a Union Electrician and worked for a large electrical contractor installing solar projects in New Jersey for 15 years. 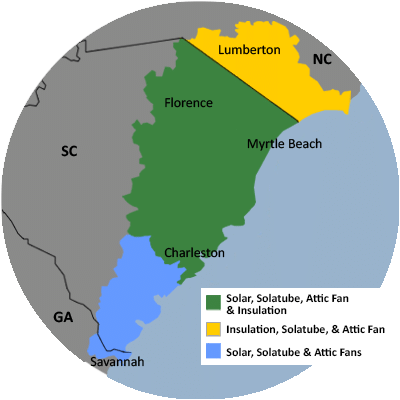 After retiring from the IBEW Union, George moved to Myrtle Beach and began working for Carolina Energy Conservation. George has also been married for 41 years and has two children, and five grandchildren.